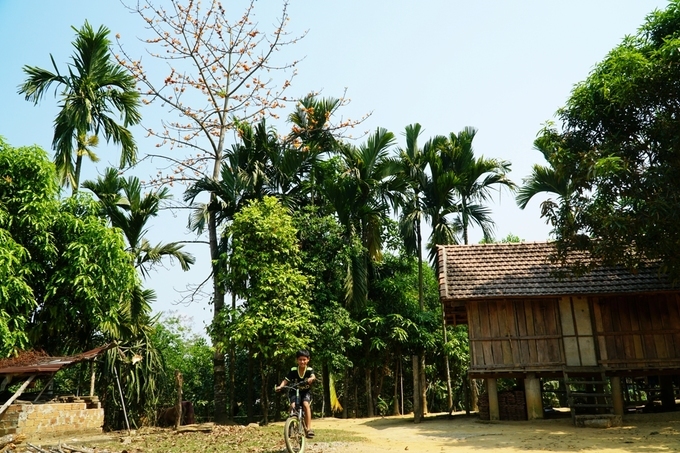 Along the roads in the mountainous districts of Son Ha and Son Tay in Quang Ngai Province, 145km south of Da Nang City, many kapok trees bloom, having shed almost all their leaves lighting up the skies with fiery red flowers. Many of these trees are several decades old and have a wide canopy. Locals will tell you that while it looks like good timber, the wood is actually soft. 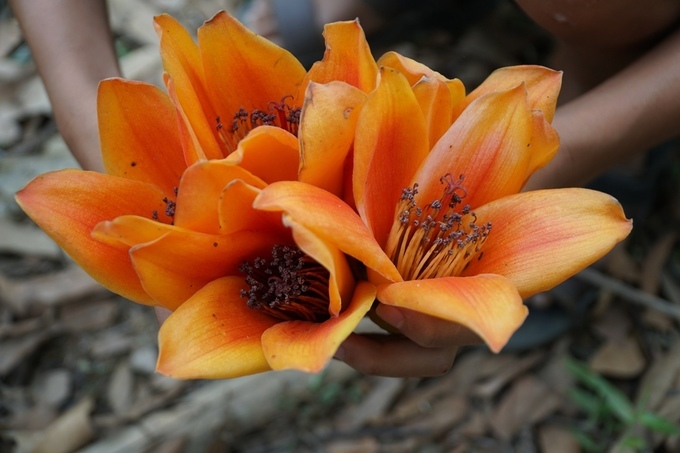 "Even if you sell it, no one would buy, so let it bloom and be beautiful," said one resident. 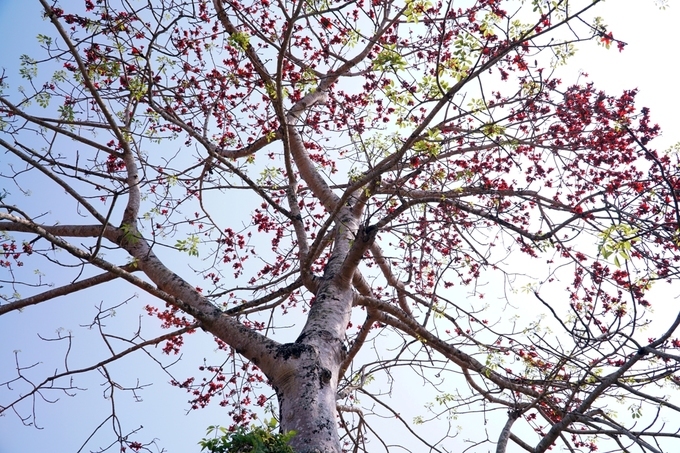 The Asian tropical tree is also known as red silk-cotton or just silk-cotton. Its bark, root and flowers are used in oriental medicine. 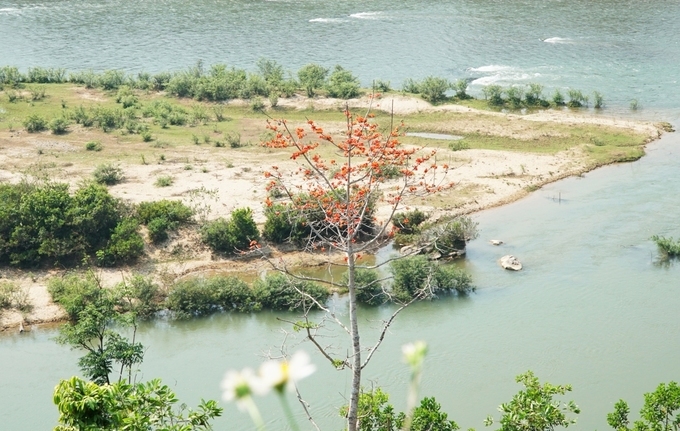 A small tree grows by Rin River, Son Ha District. 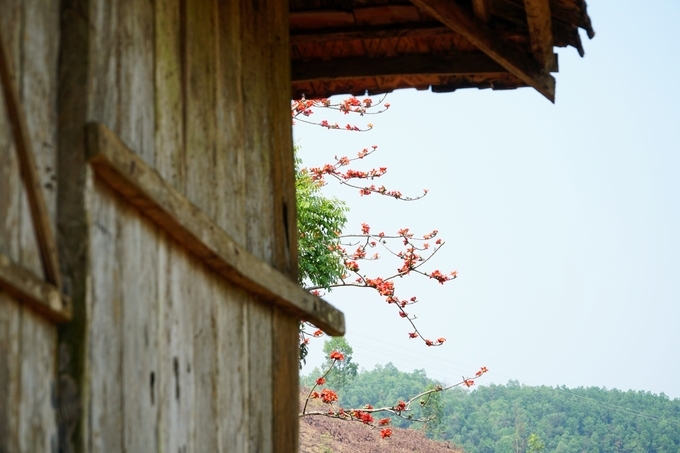 Kapok flowers by a stilt house of the H'Re ethnic minority community. 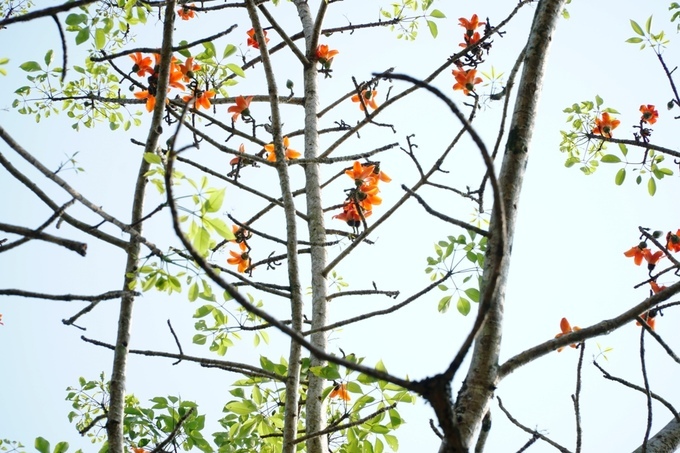 A kapok tree blooms in a local garden. These silk-cotton flowers have 5 petals. When ripe, its capsule contains white fibres like cotton. Picking up fallen flowers is a long-standing hobby of children who live in the area. 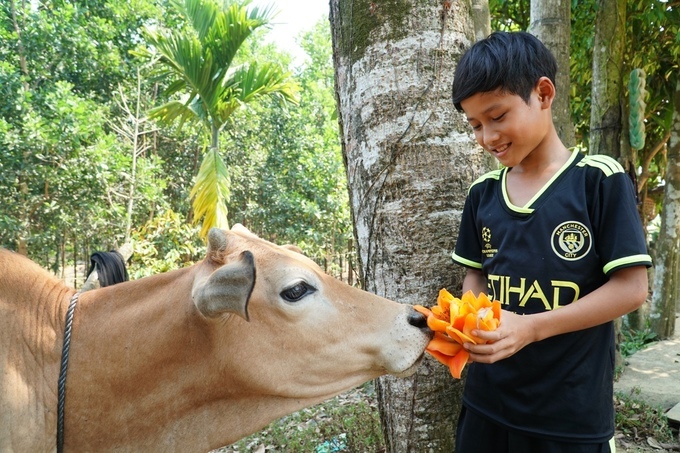 A local boy lets a cow sniff at the kapok flowers he’s just picked.